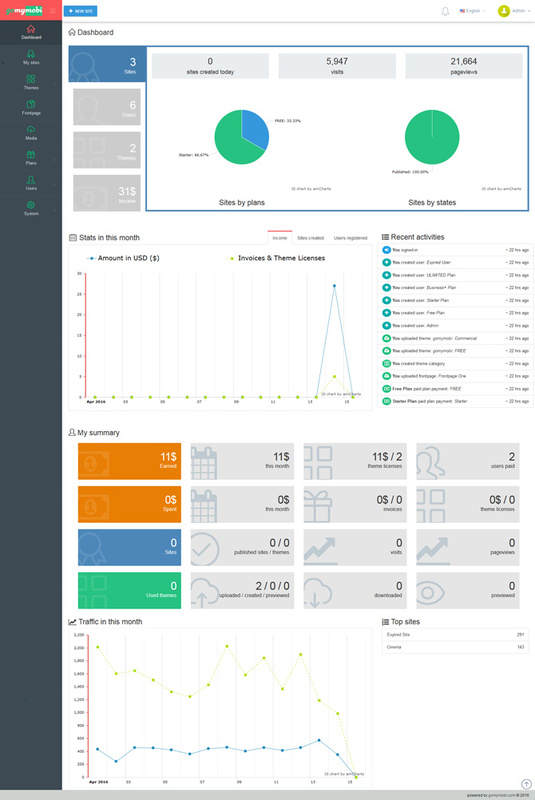 Current version: 1.20.1 (changelog).gomymobi.com - Online Business Site Builder & Platform is a downloadable script to host on your own host, both shared host or VPS/server to build a platform for online business websites & online stores. 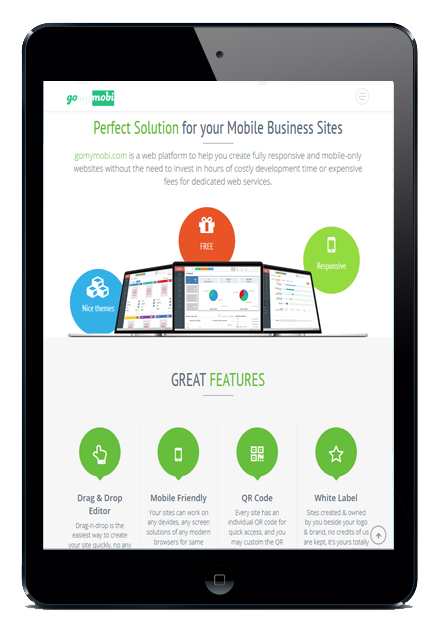 gomymobi's Business Site Builder is an advanced automated platform that allows your customers to create and present their business/company sites, online ecommerce stores to sell their products. We're so confident that you’ll be satisfied with this business site builder that we're giving you a Risk Free full 30 days to check it out, but for some subtle reasons, please try our FREE trial online business site builder for UNLIMITED features first; if then for any reason you’re not satisfied just email back and we’ll refund every penny, Guaranteed! Hurry up! Create and present your client's business and company sites immediately within 5 minutes. Your clients only need an account to create, update and publish their business sites rapidly with Business Site Builder & Platform, they even create also UNLIMITED stores for their sites within 5 minutes to sell both digital & physical products, even subscriptions. 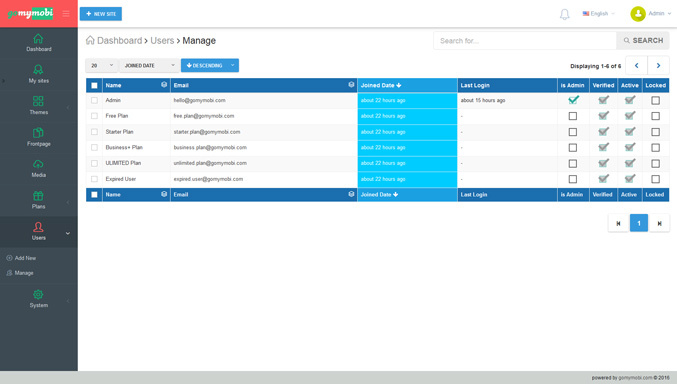 Beside, your users may register as resellers then use your platform for selling to local clients. Opening UNLIMITED online stores rapidly within 5 minutes, with possibles of creating unlimited products, categories, tags and pages. Your online web stores are able to sell creative products to everyone in the world, be able to sell both digital, physical and even subscription products on same store. 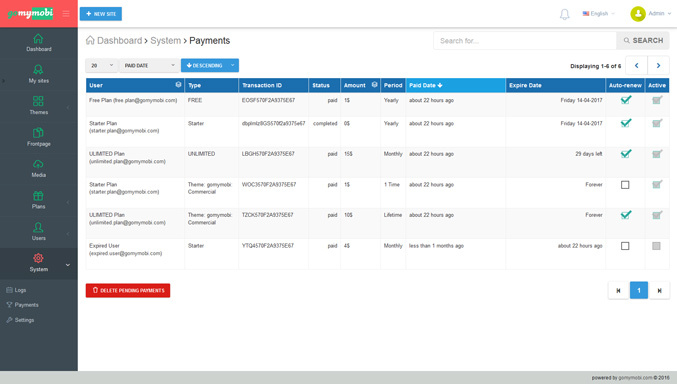 Buyers purchase products then pay their invoice in automatic route, with support from Paypal system, store owners do not need to touch anything, but manage product delivery only. Create, update and publish unlimited sites rapidly within 5 minutes. 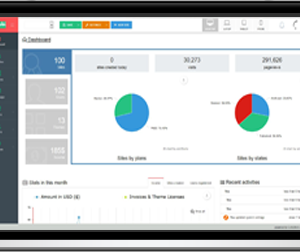 Your clients use this builder & platform to create UNLIMITED business sites. As soon as your clients granted access (paid their invoices), they just login and start creating UNLIMITED business sites. 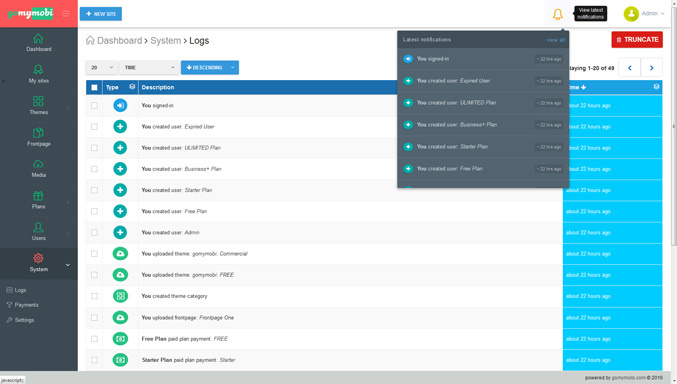 Create UNLIMITED hosting plans for your clients, customize the features for each plan as well. 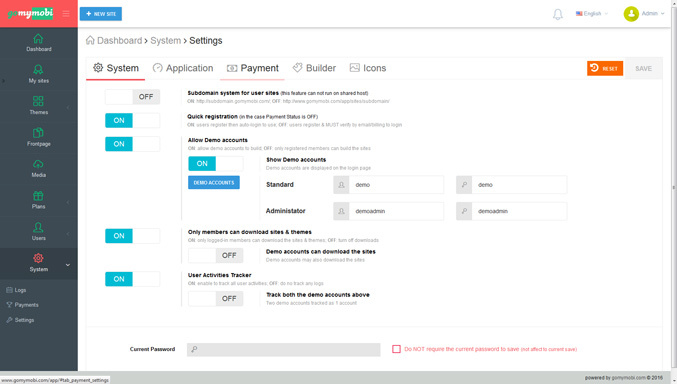 Clients use platform to pay the invoices for their plans, sell their theme licenses to receive money from other users. Every site has an unique subdomain. With each published site, there is a downloadable QC code, client can also customize this QR code image easily. 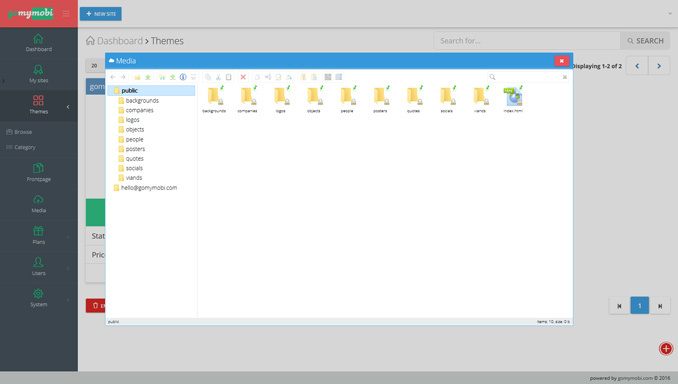 The platform is also a theme marketplace where all users can upload their favorite themes to sell. All business sites are emebed maps to show bussiness / company address & directions. Every business site comes with an awesome Click to Call button, that help visitors contact you in a second. The platform help you build the landing pages, lead pages & squeeze quickly and can not be easier. Just archive the sites if you want them to be offline for a while, republish once they are ready to live again, it's so easy to control. 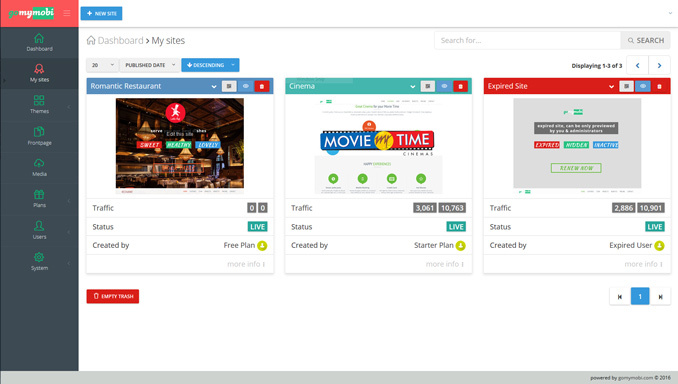 Build your web site builder & platform for clients to create and present their business sites within 5 minutes. Responsive friendly platform & builder, clients can use on any device, any platform, just with a browser. 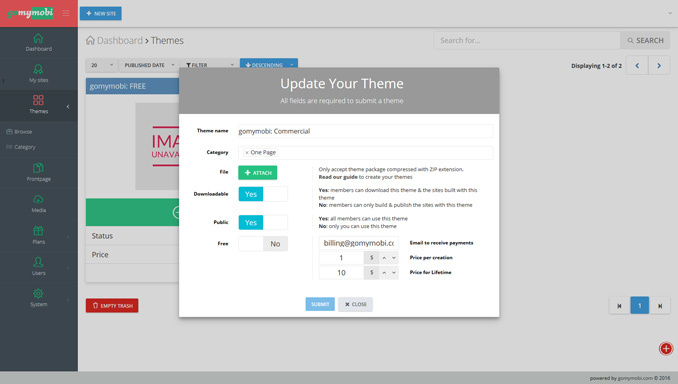 No coding or design skills, all site themes & pages come with WYSIWYG editor. Be the first to review “gomymobiBSB: Business+” Click here to cancel reply.